The Pilgrim's Progress is one of the oldest and most renowned stories in Christian literature. First published in 1678 by John Bunyan, the novel serves as an allegory for the Christian walk, following a young man (aptly named Christian) as he journeys across the world toward the "Celestial City." Along the way, he encounters several characters such as Mr. Worldly Wisdom and the Giant Despair, is joined by traveling companions Faithful and Hopeful, and is freed from his burden at "the place of deliverance." The Pilgrim's Progress has been translated into over a dozen languages and inspired countless readers throughout history. Now, Christians everywhere have an opportunity to bring this treasured story to life! "A friend and I were sitting in a coffee shop and talking about what kind of project we wanted to produce. A legacy project, something we could pour our own money and heart into. It started out as a conversation and a dream, now it’s slowly becoming a reality." Both men realized that despite its long and cherished history, Bunyan's allegory had never received a full-length, CGI-animated movie. They knew the project would be difficult, requiring time and money on their part, but what started out as three people working together in a kitchen has quickly grown in scope. With help from the crowdfunding site Kickstarter, Cleary and his friends are creating their film one scene at a time. While there is still a long way to go, the creators believe their shared vision will encourage other Christians to reach out and lend a hand. "It's crazy to think you can fund a film scene by scene,” said Cleary in an interview with Crosswalk, “but it’s working because people are stepping forward and saying, ‘I want to do my part’. Sharing their commitment, building the fan base, encouraging us, our hope is we can get 10,000 people who will come forward and say, ‘I’ll do what I can to help this film.’ Our movie fans are literally our lifeline, we can’t do this without them." In addition to contributing financially, a number of Christians have stepped up to help make The Pilgrim's Progress movie a reality in other ways. Cleary related how an animator in California called him and offered to help with the movie's design, while another individual supplied voices for the characters. People have shared about the movie on social media and in youth groups. With each new gift, the film moves one step closer to completion. Clearly hopes this swell of generosity will lead to greater ministry opportunities around the world, since The Pilgrim's Progress was never intended to make money, but rather share the message of Jesus and strengthen believers in their journeys. "When we release this film, we believe it's going to be a huge party. People will watch it and know, 'We helped make that film.' If you're a missionary and you write to us, you'll get the film for free. If you're a youth leader and you write to us, you'll get the film for free. This film will only ever belong to the Church." Want to help make The Pilgrim's Progress a success? You can start by donating or following the movie’s progress on its official Kickstarter page. You can also raise awareness for the film by sharing it on social media. Every Tweet, Facebook post, Instagram share, Email, or conversation with your friends can bring this project closer to fruition. The process may be difficult, but together we can build a powerful tool for the Kingdom! 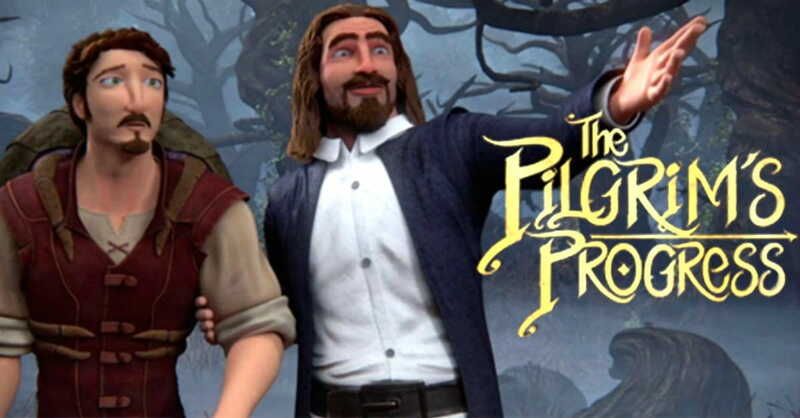 'The Pilgrim's Progress' - Classic Novel Becomes Animated Film from godtube-movie-trailers on GodTube.